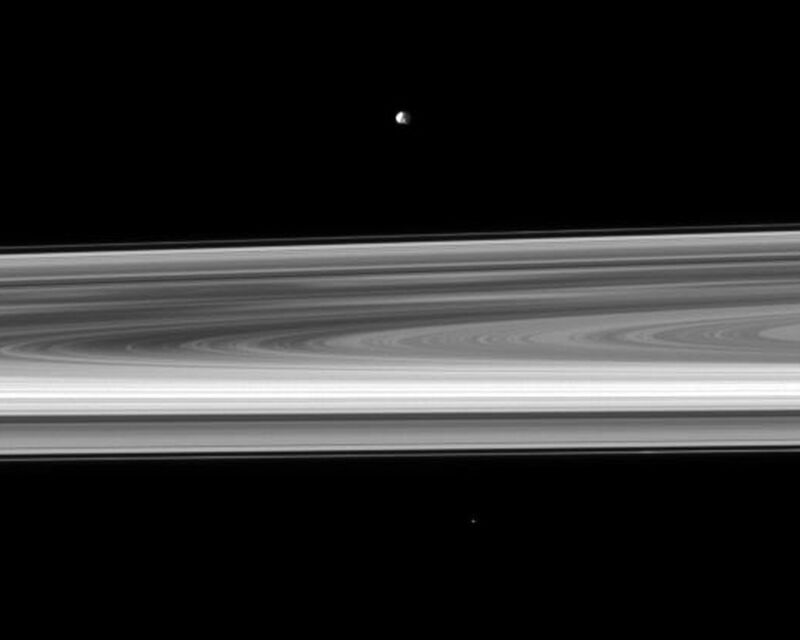 Orbiting near the plane of Saturn's rings, the Cassini spacecraft looks across the span of the rings to spy the small moon Epimetheus. The brightest spoke is visible on the left of the image, but others can be seen near the middle of the image and elsewhere on the B ring. See PIA11144 to learn more about these ghostly radial markings. This view looks toward the northern, sunlit side of the rings from about 1 degree above the ringplane. 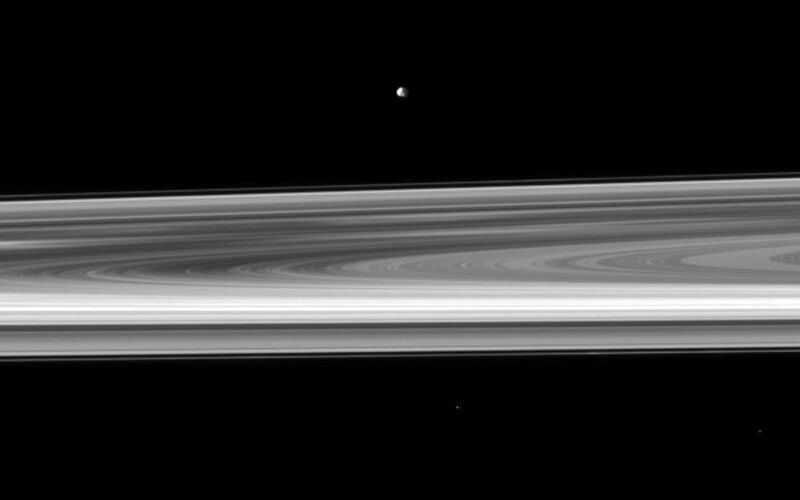 Cassini is closer to the rings than to Epimetheus (113 kilometers, or 70 miles across). Two background stars are visible. The image was taken in visible light with the Cassini spacecraft narrow-angle camera on Oct. 18, 2009. 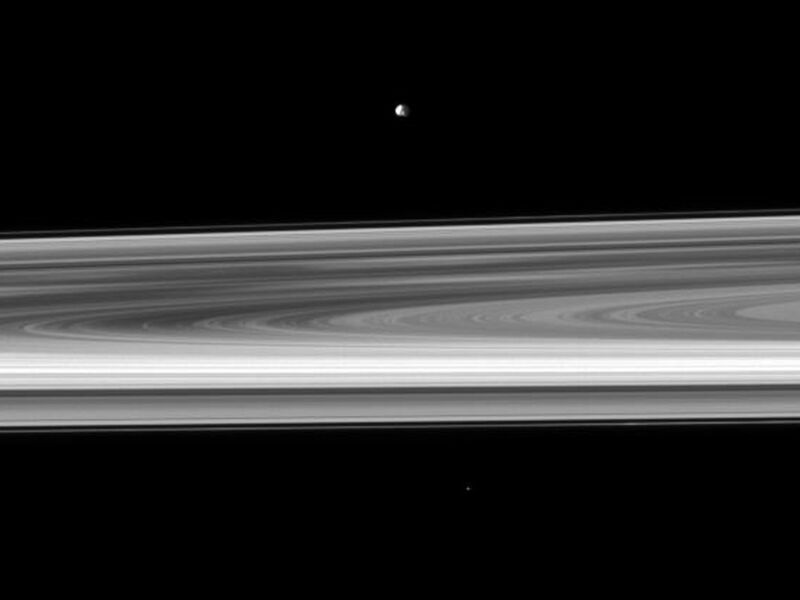 The view was acquired at a distance of approximately 2.2 million kilometers (1.4 million miles) from Epimetheus. Image scale is 13 kilometers (8 miles) per pixel.